The feather-legged fly looks as if it were formed by a committee. It's about the size of a house fly, but there the similarity ends. 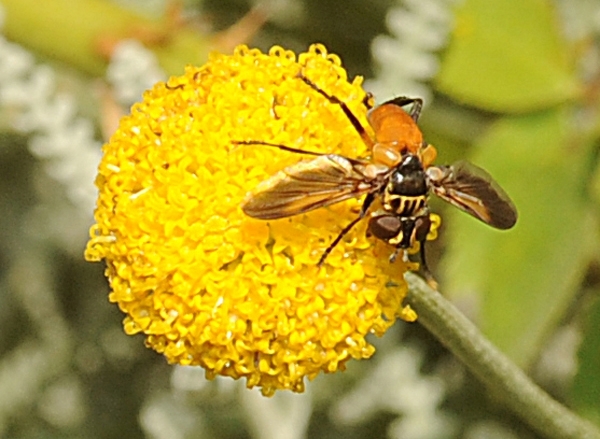 Black head and thorax, hind legs fringed with a "comb" of short black hairs, and an abdomen that's the color of honey--bright orange honey. It's one of those insects that prompts folks (including many entomologists) to ask: "What's THAT?" We took a photo of "what's THAT?" yesterday on a Yolo County farm. 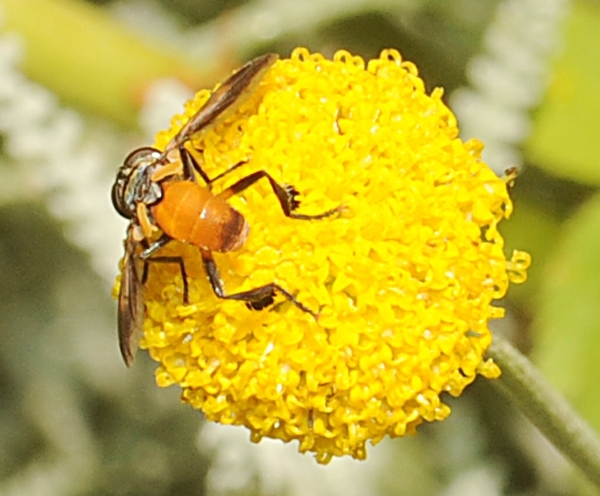 Native pollinator specialist Robbin Thorp, emeritus professor of entomology at UC Davis, identified it as family Tachinidae, genus Tichopoda and species, probably T. pennipes. It's a parasitoid. 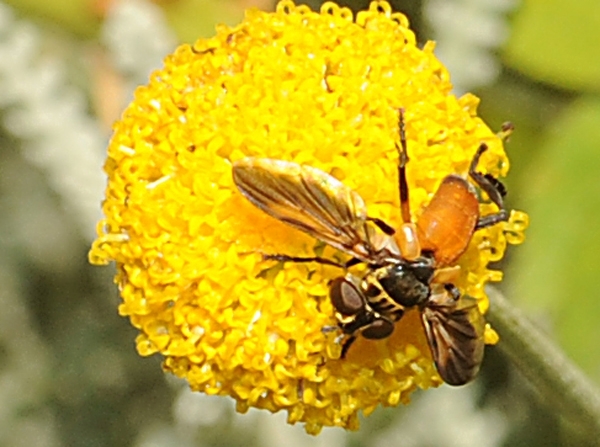 The female lays her eggs inside squash bugs, stink bugs and other agricultural pests. It was probably introduced here from Europe. Squash growers and other farmers employ it as a biological control agent. To us, it appears to be a double agent: distinctive and deadly.